Time and again, so many of us find ourselves in this situation; we must do, or we will die. 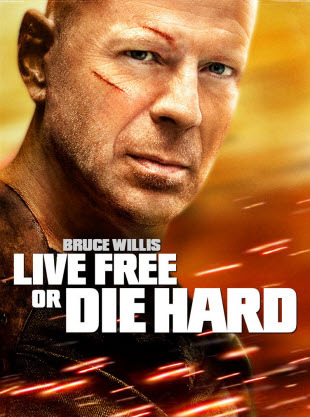 Bruce Willis always had his game face on. Well, John Wall and his teammates need to find their game face tonight. The whimsical Washington Wizards find themselves in a do or die situation right now. Time and again, the Wiz have played well enough to almost win, to just make the playoffs, and to get everybody all hot and bothered about their chances of being a great team. Now, they’re not even a good team. Now, they are down 3-1 to the Indiana Pacers facing an “Elimination Game,” meaning if they snooze, they will lose. Now, they must win or they will go home. They must do or they will die. And to borrow from Bruce, the Wiz must “play free, or they will die hard.” The Pacers, for their part, don’t and haven’t looked that good this playoff season, but they’ve had a heap of help from the Wiz, who are playing like a bad team looking good, or a good team looking bad. Which one depends on which game you want to talk about. Time and again, the Wizards have strained to do instead of just training themselves to be. If they just play “their game” they’ll be fine. If they play loose and have fun and let it all hang out, they should win, right? I mean, what do they have to lose? Time and again, we get caught up with the “busy” ness of life’s business; the fanfare and the fuss, the conflagration and the consternation of life can wear even the strongest and sternest of us down to almost nothing. And we almost always feel that we have to “do.” God has a better way. Doing comes as a result of being. Spiritually and naturally, we must “be” first and then we can “do.” Trying to do something before we have been that something first is an effort in futility. Take it from me. I’ve tried to do too many times and now I’m finally learning that I need to just be. So once and again, it’s time to focus on being instead of doing. Paul said this: “rejoice in the Lord always, and again I say rejoice.” To rejoice is to joy again. It means to celebrate and commemorate; to praise and to party; to exult and to enjoy life. There’s nothing wrong with good, clean fun, and a good win is a good way and a good reason to rejoice. Once and again, it’s time to be good and gentle; it’s time to be considerate and benevolent; it’s time to be thoughtful and earnest, kindhearted and true. It’s time to be nice instead of nasty; it’s time to be gracious instead of gratuitous. It’s time to be humble instead of haughty. It’s just time. So the next time you’re tempted to do, just remember, it’s better to just be.